Select Yes Please! ( +$10.00 ) No Thanks! Details: The OEM top mount intercooler is sufficient for stock horsepower but, for those wanting to make more, it simply isn't capable of providing the cooling capacity necessary. To make more power, the OEM top mounted intercooler needs to be removed and replaced with a larger front mounted intercooler. 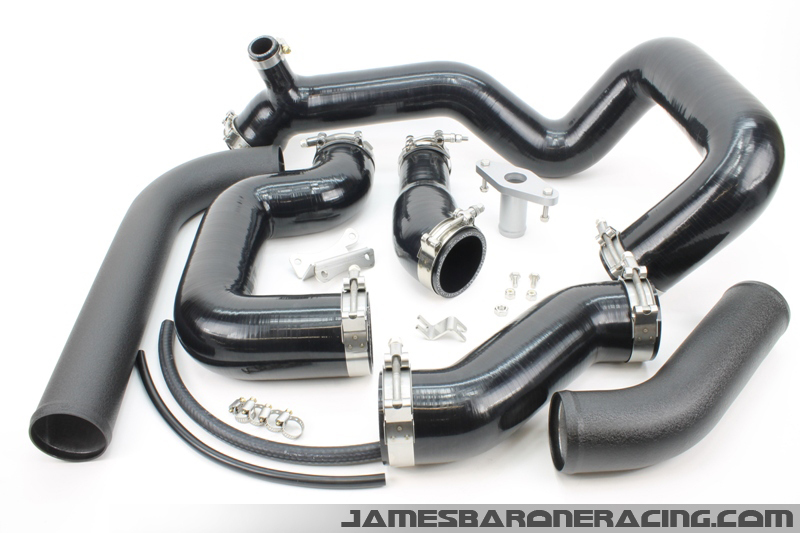 The JBR Under Mounted Front Mounted Intercooler Piping Kit for the 2007 – 2013 Mazdaspeed 3 makes that possible, easily and more effectively than any other piping kit on the market. 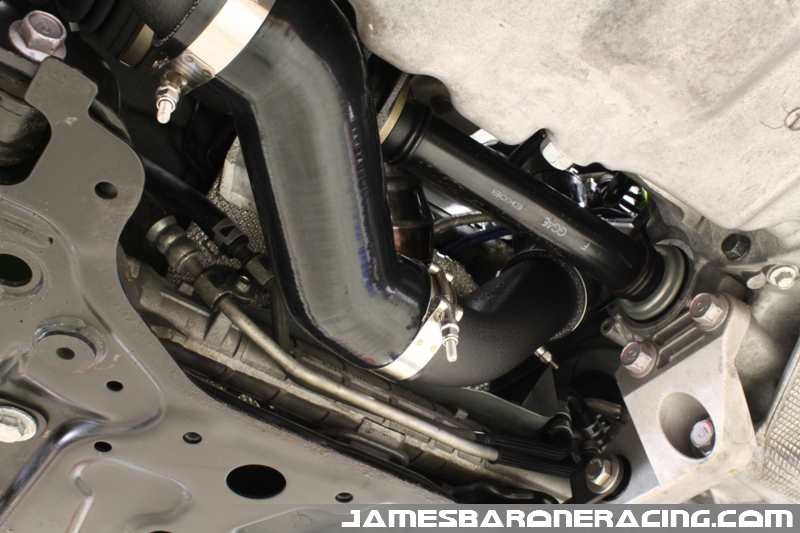 The JBR Under Mounted Hot Side Piping Kit is designed to fit all clocked OEM/BNR and most big turbo setups. Routing the piping beneath the motor reduces the amount of hot side charge piping by 12-16% when compared to other kits on the market. Reducing the amount of piping decreases turbo spool up time, reduces boost temperatures and makes for an impressive, sleeper looking engine bay. 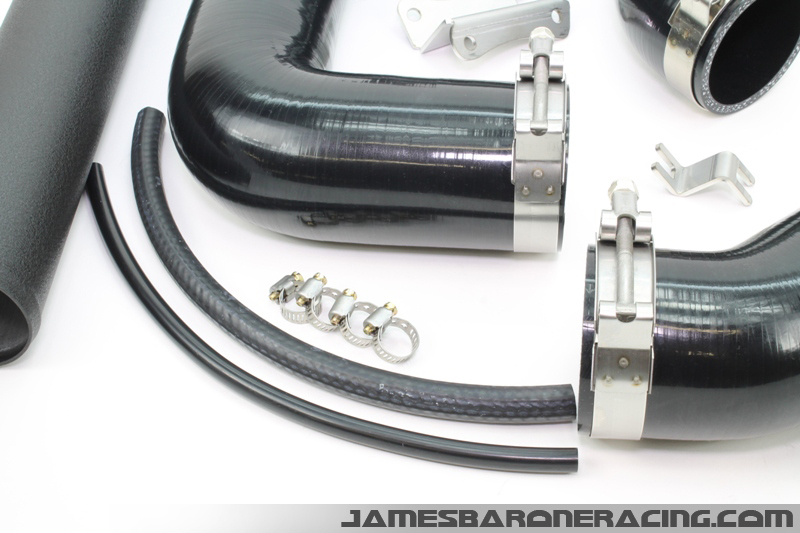 The JBR kit is constructed from mandrel bent 6061 aluminum piping and 7 layer hi-strength thick walled silicone hoses and couplers. All of which is tucked neatly above the belly pan. Routing the piping beneath the motor reduces the amount of hot side charge piping by 12-16% when compared to other kits on the market. Reducing the amount of piping decreases turbo spool up time, reduces boost temperatures and makes for an impressive, almost sleeper looking engine bay. 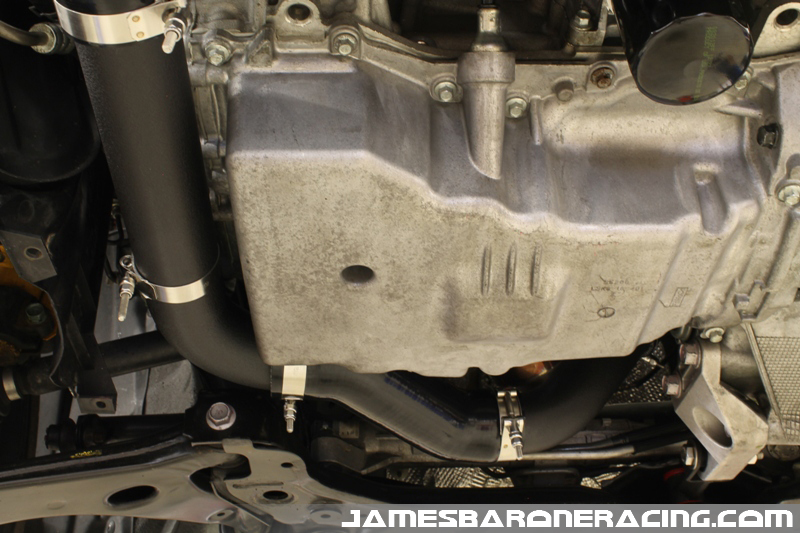 Upon exiting the intercooler, the cool boost air enters the JBR one-piece, high strength, thick walled silicone hose and travels from there, all the way to the intake manifold. 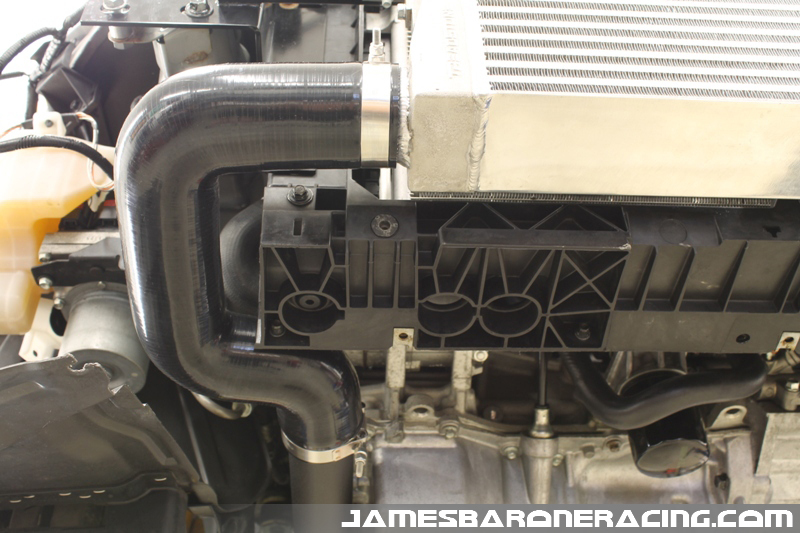 Silicone has a very low heat transfer coefficient so, the hot ambient air in and around the engine bay will not be able to penetrate through all of the layers of silicone therefore, the cold air you just spent $800 to get cool, will stay cool. 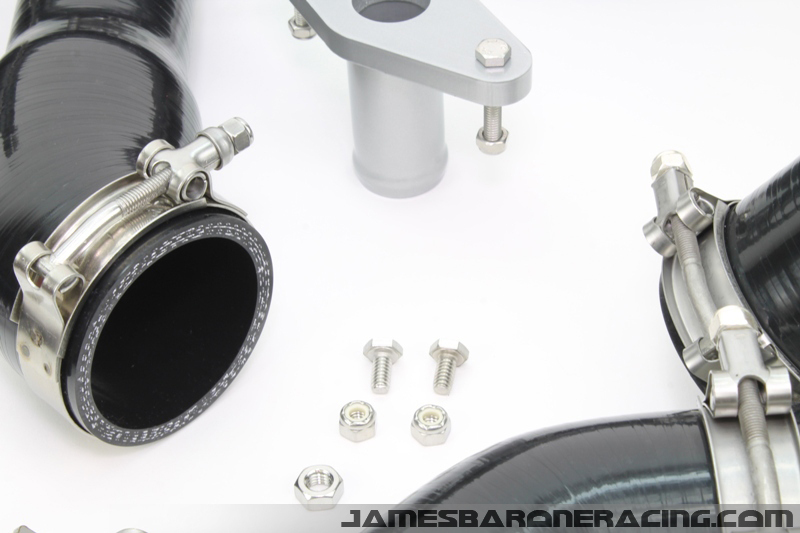 All other kits currently on the market have several couplers, elbows, and connections long before ever reaching the intake manifold. Not only does that make for a difficult installation but the potential for leaks is drastically increased. 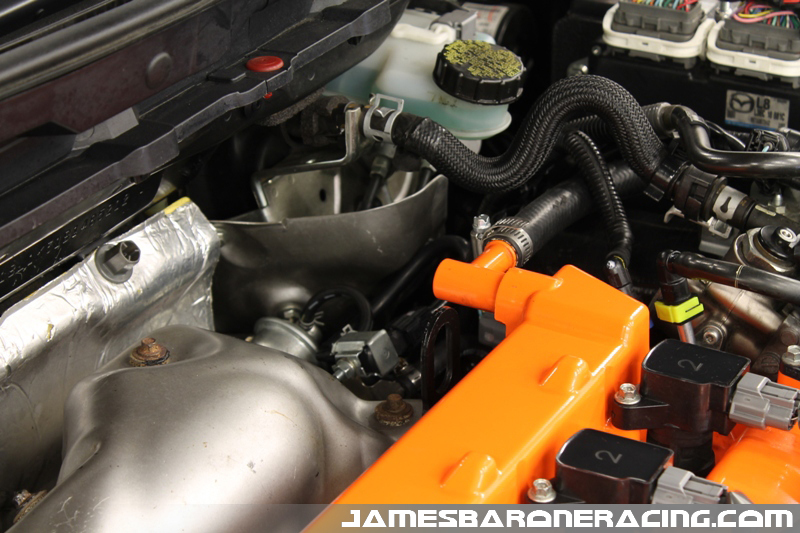 All kits will include coolant and vacuum hose necessary to clock your turbo. 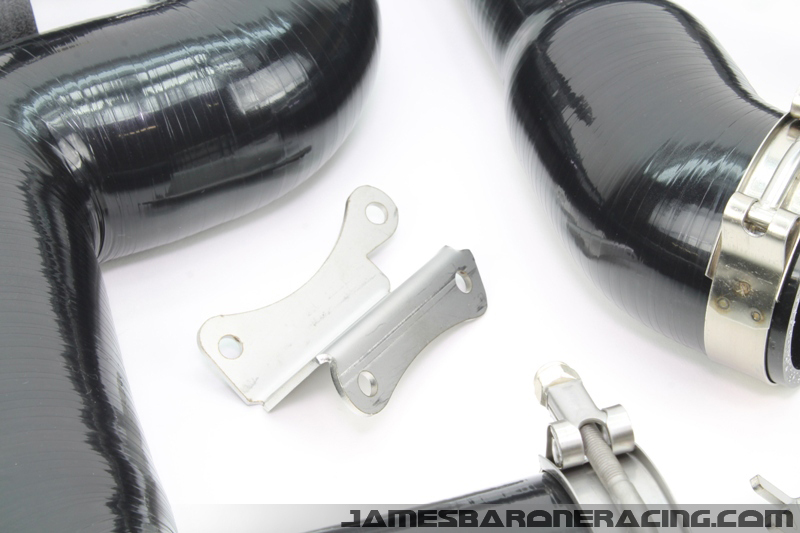 The waste gate actuator mounting bracket and coolant mounting bracket are required when the kit is used with the OEM or BNR S1 turbo. 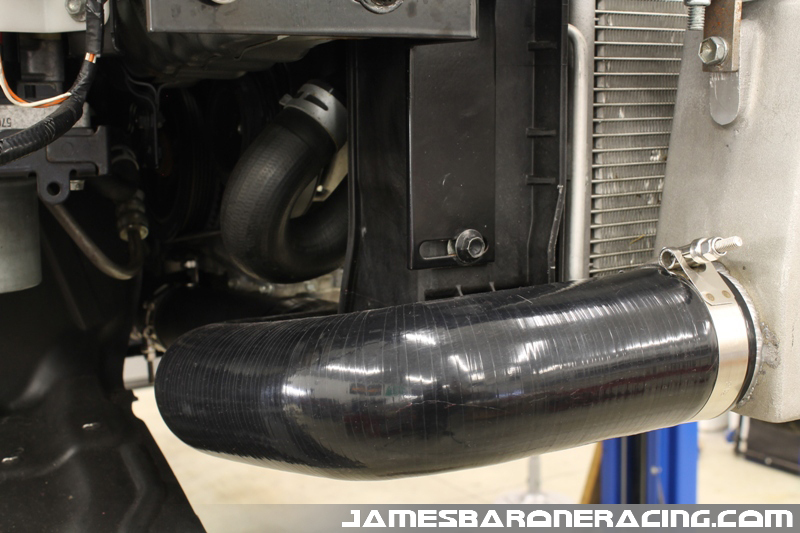 **2010 - 2013 Mazdaspeed with TR8 intercooler requires a crash bar. 2010 - 2013 TR6 intercooler requires mounting brackets but no crash bar.